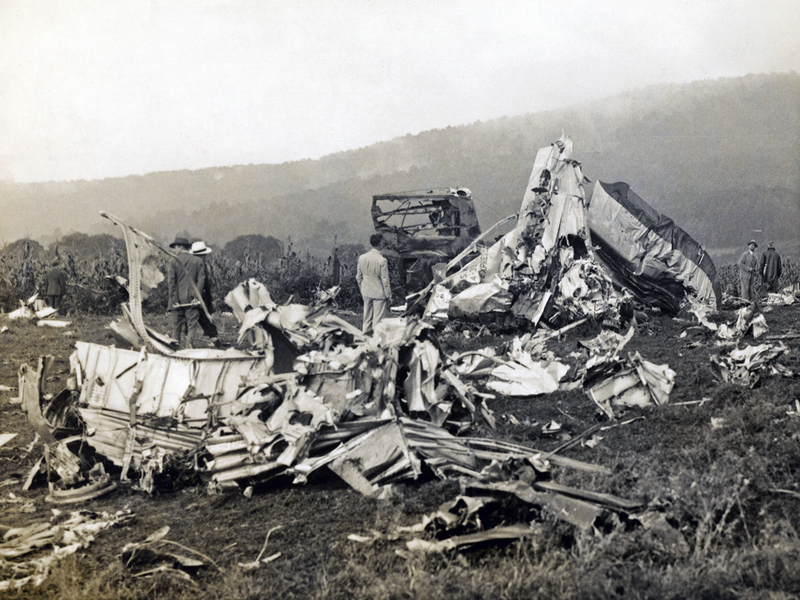 Twenty minutes after its departure from Washington DC-Hoover Airport, while cruising in poor weather conditions at an altitude of some 4,000 feet, the aircraft went out of control, dove into the ground and crashed in a mountainous area. All 25 occupants were killed, among them the Senator of Minnesota Ernest Lundeen. John B. Staire, Jr, secretary to the District Traffic Manager. Upon the basis of the foregoing findings of probable fact and the exit record in this investigation, CAB finds that the probable cause of the accident was the disabling of the pilots by a severe lightning discharge in the immediate neighborhood of the airplane, with resulting loss of control.